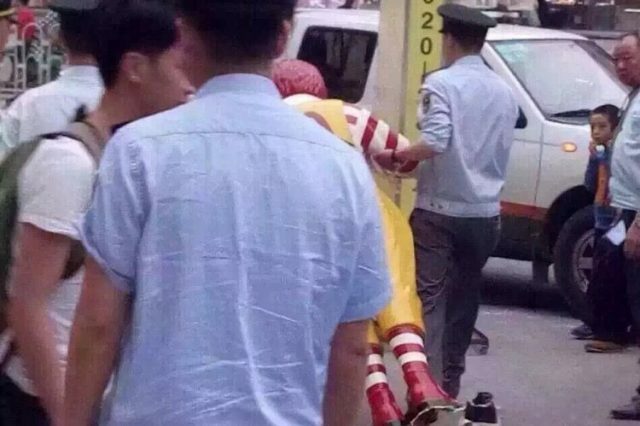 In a rather bizarre move, police in Guangzhou, China, forcibly dismantled and arrested a Ronald McDonald statue which was standing on the pavement outside of a McDonald’s restaurant on Sunday. Turns out though the police actually had a pretty good reason for sending Ronald to ‘the clink’. 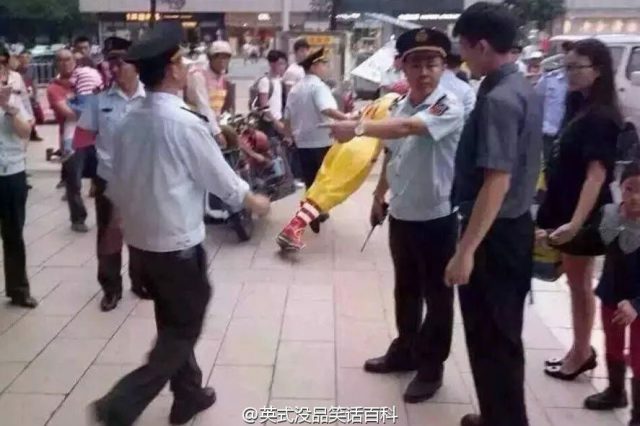 You see it’s actually illegal to place outdoor advertising on the streets in Guangzhou, and a government official claims that McDonald’s have ignored repeated warnings to remove the creepy clown, Mashable reports. 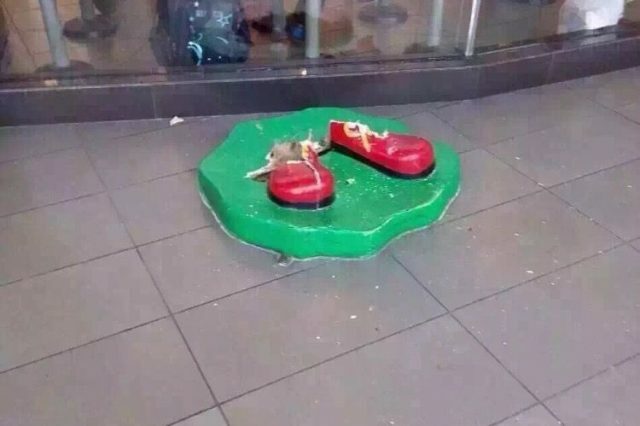 We’ve asked them to remove the Ronald McDonald statue from the sidewalk several times. 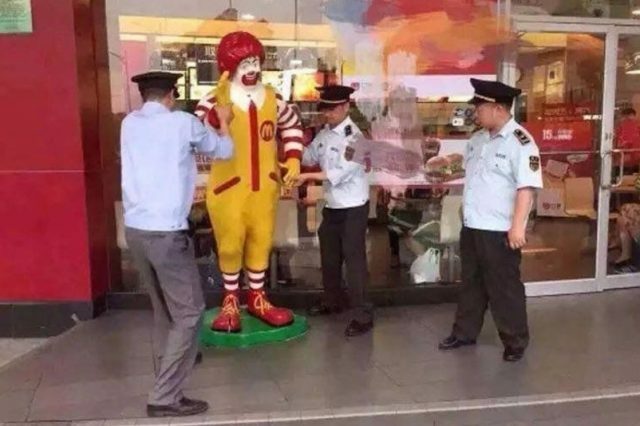 Despite the police technically being in the right, their arrest of the statue was still pretty funny, with confused bystanders watching in amazement as three code enforcement officers ripped poor Ronald off his stand, leaving only his shoes behind. Pictures of the weird arrest have since gone viral on the Chinese social media site Weibo.